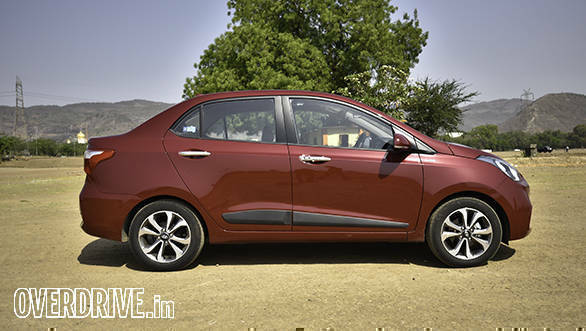 A couple of months after Hyundai launched the updated Grand i10 the new Xcent is here and it features a similar raft of changes. 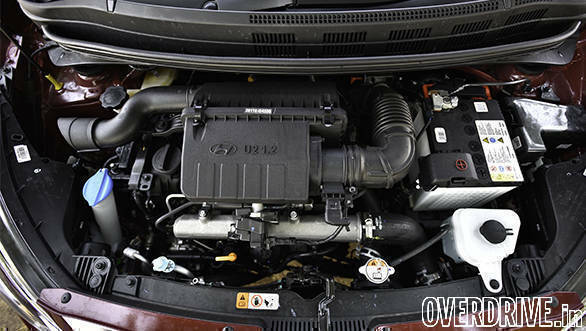 As with the Grand i10, the Xcent sees a new 1.2-litre diesel engine as well as cosmetic changes. Let's start with the way it looks. Hyundai has tried to tie in the same design scheme from the bigger luxury cars like the Elantra. 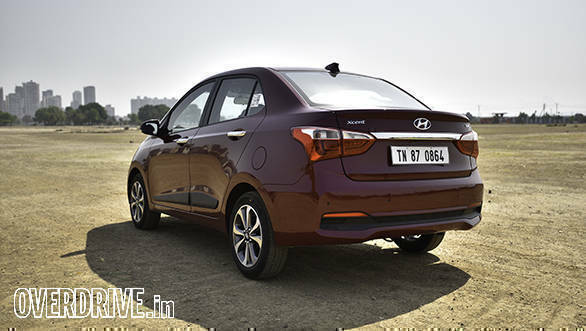 This brings in a new chrome 'cascading design' grille that cuts a similar shape to the Elantra. It also differentiates the Xcent from the Grand i10 and as a result, the two no longer look identical from the front. The grille looks great on the long and sleek Elantra, but to my eyes it doesn't fit quite as well on the more rounded and stubby Xcent. While the side profile looks the same, the rear gets a tasteful makeover. The smaller taillamps from the old car make way for new wrap-around units. These increase the sense of width and give the car a more premium look. The design of the bumpers has changed as well, with new DRLs in the front bumper. Overall, the Xcent looks more premium and grown up. 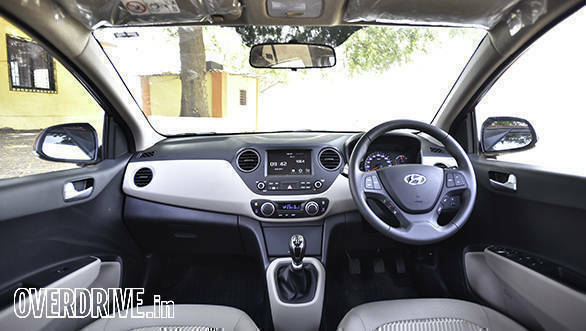 The interior sees the same update as the Grand i10 and that comes in the form of a new touchscreen infotainment unit. The new display is crisp and very intuitive to use. It's easily one of the best at this price point. The steering wheel also brings in a new voice command button. Beyond that, the Xcent continues to offer the same large boot and spacious cabin with nice touches like a rear aircon vent and a cooled glovebox. 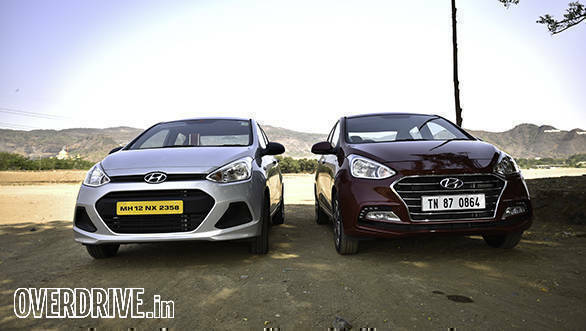 The diesel variant we drove gets the same 1.2-litre engine that debuted in the Grand i10. It makes 75PS and 190Nm, figures which mirror the ever popular Maruti Suzuki Swift Dzire. Even with the 4PS and 30Nm jump, the engine still feels very similar in character. Despite being a three cylinder, it comes across as one of the most refined engines in the segment thanks to excellent cabin insulation. Among the improvements we found over the old car come in improved clutch feel. The pedal is less springy and the engine is less susceptible to stalling at low revs. The five-speed gearbox is as slick as ever and is a joy to use in regular driving conditions. The engine feels similar but now offers better drivability across the gears. Revs build smoothly and the car pulls cleanly from as low as 1,200rpm. Despite the 5,000rpm rev limit this is not an engine that likes to be revved out. The surge is strong till 3,500rpm but it begins to taper off above that. By 4,000rpm, the show is over. Performance is brisk but not particularly exciting. We achieved a 14.1s 0-100kmph time which is exactly a second quicker than before. Better yet, efficiency has gone up too. We recorded 26.24kmpl on the highway and 16.8kmpl in the city. Hyundai has also done some quiet work on the steering and suspension set-up. The steering feel is much improved and no longer has the artificially engineered tendency to self-centre. The weighting of the wheel is much more progressive and while it still isn't the nicest system around, it no longer feels strange. The suspension also has a firmer feel. Damping is still very good and bumps are well ironed-out but you can feel that the car is now firmer. I suppose this would help when the car is fully loaded at speed but it hasn't transformed the Xcent into a driver's delight. This is still the friendly, spacious and practical choice in it's segment. We never had any complaints with the old suspension set-up, but nevertheless, applaud Hyundai for trying something new. 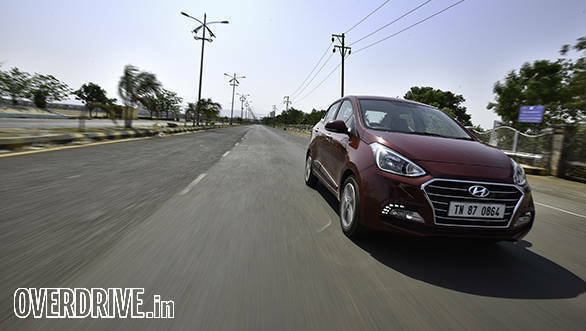 Just as we saw with the Grand i10, the new Xcent uses a number of changes to improve the overall experience. The new 1.2-litre diesel engine provides better drivability while the design updates give the car a shot of fresh air that simultaneously helps it stand apart from its hatchback sibling. At Rs 8.41 lakh ex-showroom Delhi, the top end SX(O) Xcent is priced on the higher side of the segment. 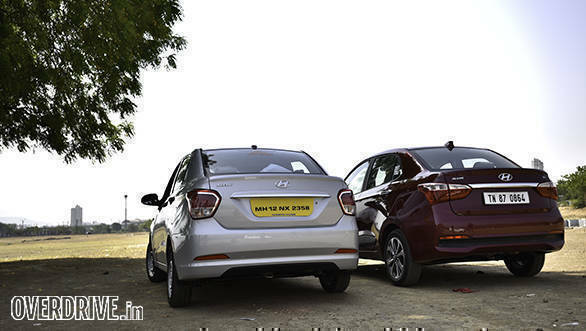 It is on par with the top Honda Amaze VX and only the Rs 8.65 lakh Ameo Highline diesel is more expensive. Does it justify the price? Look out for a comparison review soon.